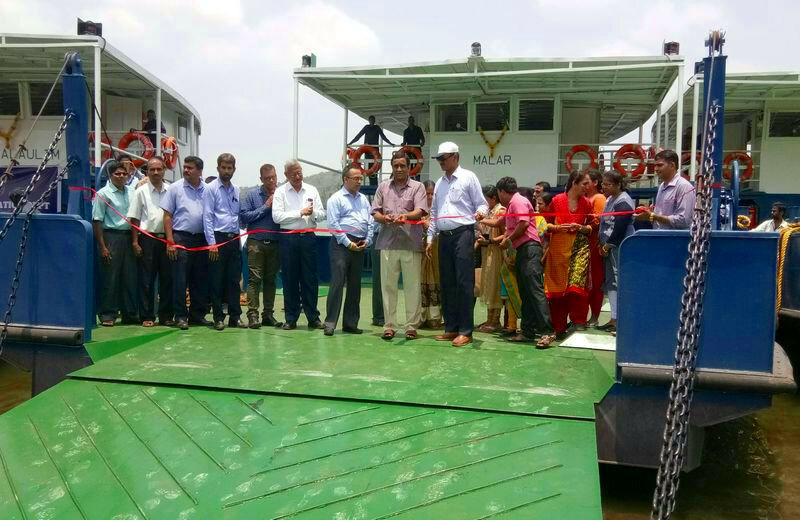 3 Ferry Boats Delivered on Time! 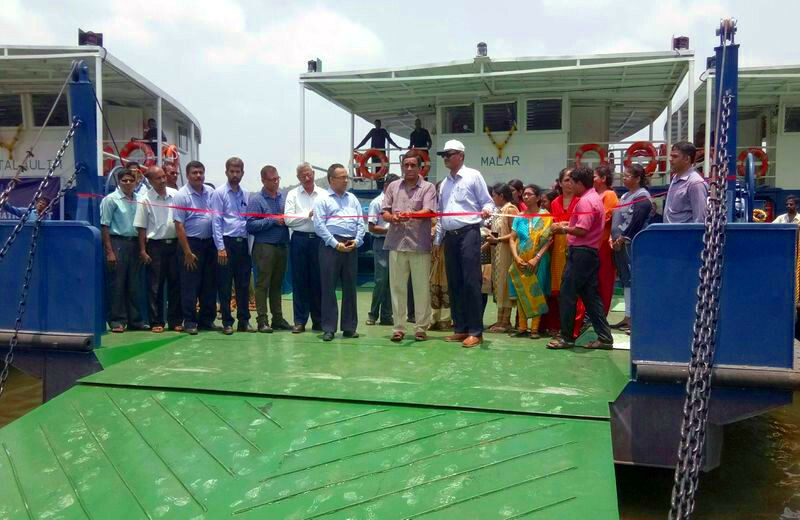 Dempo Shipbuilding & Engineering Pvt Ltd (DSEPL) delivered three ferry boats to the Government of Goa punctually at the Captain of Ports Jetty, Panaji on the 12th April. 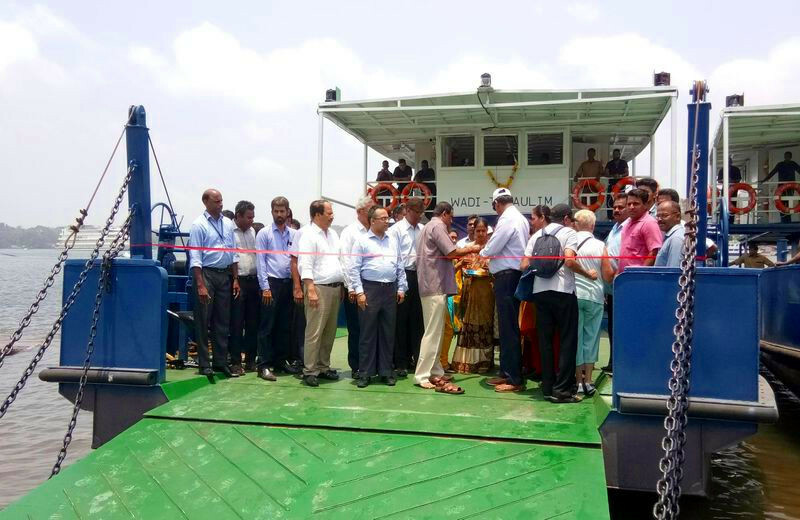 At the handing over, DSEPL was represented by its Director, Mr. Yatish S Dempo and Advisor, Mr. Sanjeev A Kanekar, while the Governor of Goa was represented by the Minister of River Navigation, Mr. Ramakrishna Dhavalikar, the Captain of Ports, Capt. 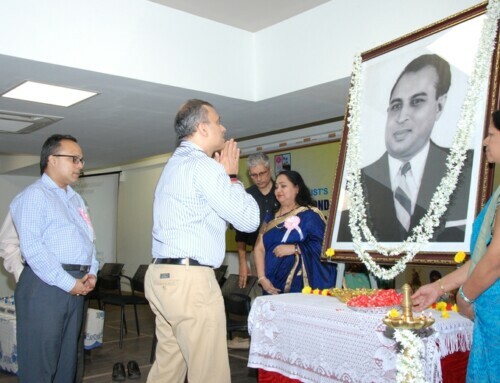 James Bragança, and the Sr. 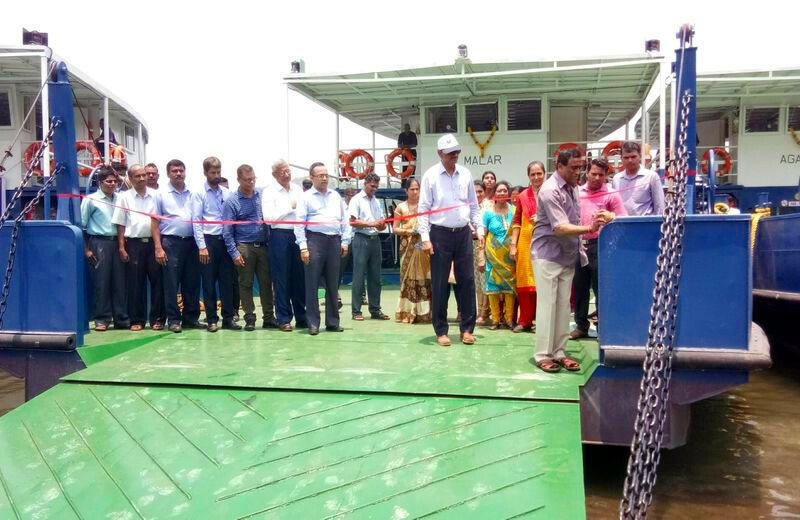 Superintendent (W & T) Mr Vikram Raje Bhonsale of the Department of River Navigation. 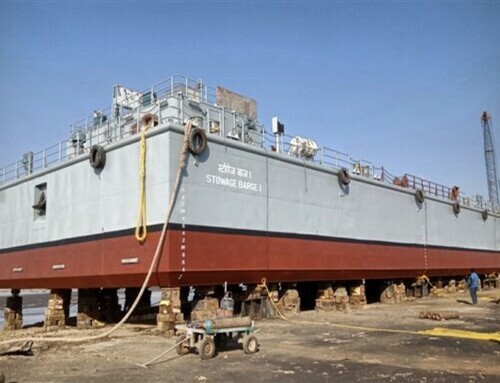 The date when the contract was signed was 2nd January 2018, with its completion period being 100 days, at the end of which the delivery took place. 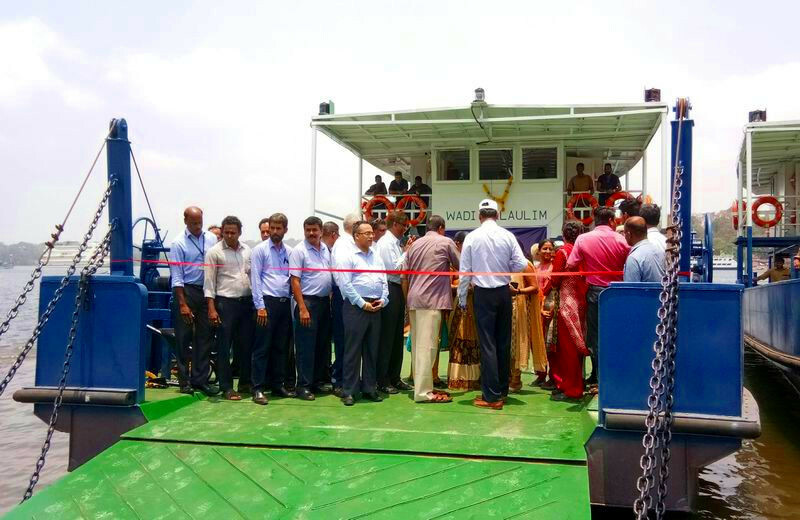 The ferry boats that were delivered were WADI-TALAULIM (Yard 519), a 4-car ferry, and AGAPUR (Yard 520) as also MALAR (Yard 521), both 6-car ferries. 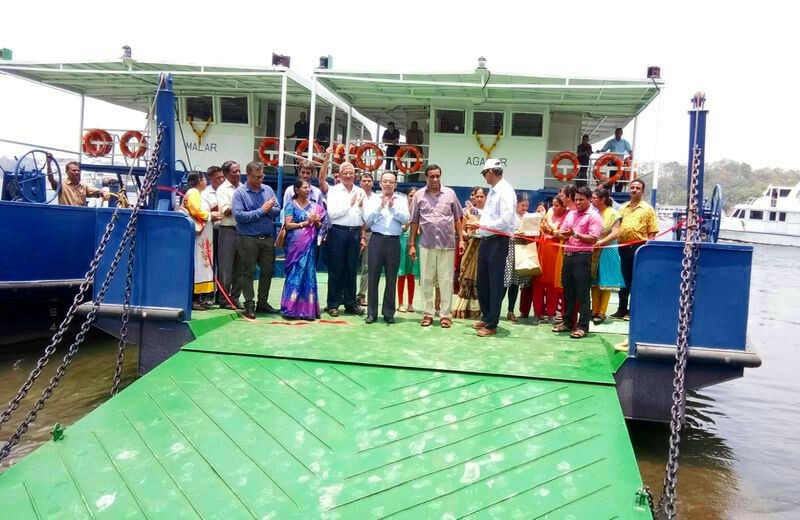 The three ferry boats were launched for public use on 17th April at the Captain of Jetty Panaji, by Minister Dhavalikar, in the presence of Captain of Ports, Capt. Bragança, and officials of the Captain of Ports and River Navigation Department. DSEPL has proved, once again, that it is just as good as its word!